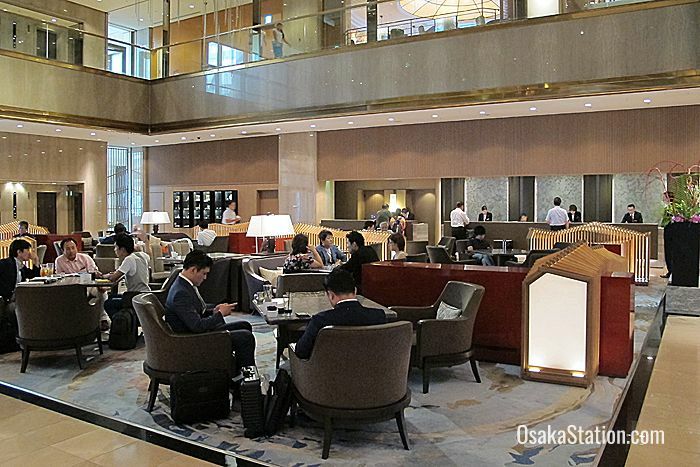 This five star hotel is extremely well positioned in Umeda being just a short walk south of Osaka Station and convenient for many of the other Umeda Stations too. 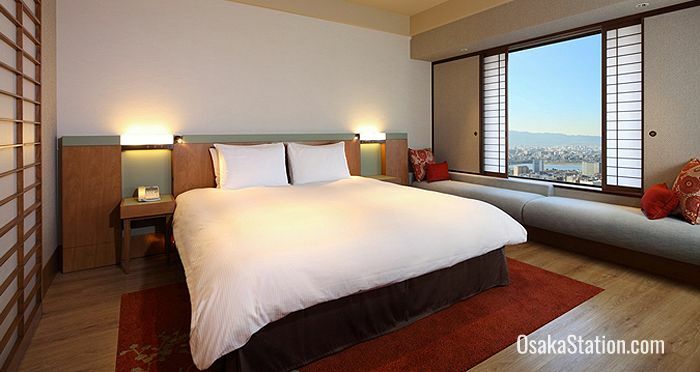 This makes it an excellent base from which to explore both Osaka and the wider Kansai area. From Osaka Station, Osaka Castle can be reached in 10 minutes, Universal Studios Japan in 5 minutes, the city of Kobe in 22 minutes, and Kyoto in 29 minutes. The hotel has its own excellent dining facilities, but is also sandwiched between the east and west wings of the Hilton Plaza luxury shopping and dining center. 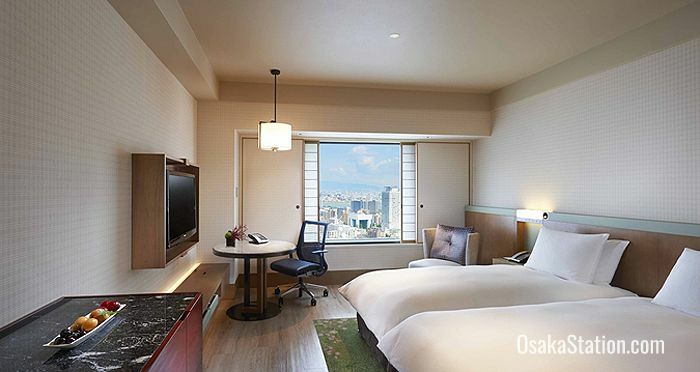 Spacious rooms with stylish décor, friendly staff, and plentiful amenities all help to make this hotel one of the better options when staying in Osaka. Guest rooms come with a choice of king-sized beds or twin beds. All rooms come with a sofa, an arm chair, an LCD TV with cable channels, a mini-bar, tea and coffee making facilities and free wi-fi internet access. The bathroom has a hair dryer and a full set of complimentary toiletries. The Hilton also has a range of suites and executive rooms that include special perks such as Executive Lounge access with a free continental breakfast and refreshments. The 60 square meter Japanese Suite has traditional Japanese style décor with sliding paper screen doors, tatami matting and wood flooring. The 150 square meter King Presidential Suite has more modern décor, a separate living room and a marble bath tub. 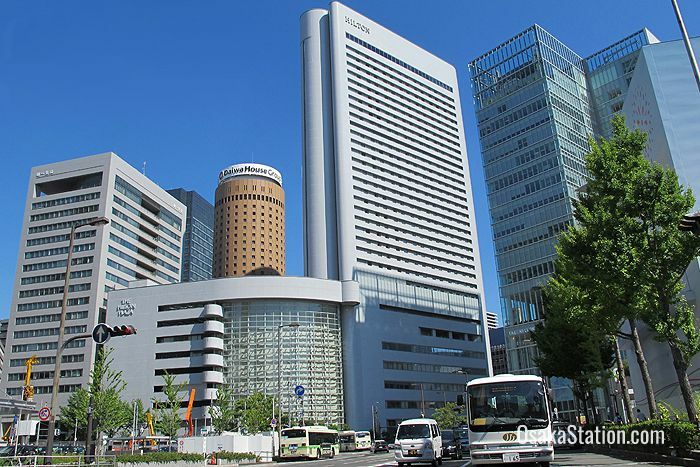 The Hilton Osaka has five restaurants. The In Place is the Hilton Osaka’s 1st floor Lobby Lounge area offering light meals, sweets, and cocktails in a refined setting with comfy seating and low lighting. On weekends and holidays the In Place opens at 9.00. On Fridays, and Saturdays the In Place closes at 24.00 with last orders at 23.30. Checkers on the 2nd floor is a casual buffet restaurant specializing in Mediterranean style cuisine but with Japanese and Chinese options also available on the extensive menu. The buffet is laden with roast beef, pasta, plentiful salads, and an array of sweets. In the open kitchen you can watch the cooks as they spin their pizzas. Dynasty (Ouchou) on the 3rd floor serves both traditional Cantonese and modern Chinese cuisine. Main dishes of pork, beef, abalone, lobster, and crab can be complimented with wine or Chinese spirits and a sommelier is on hand to help you choose the best drink for your meal. Course meals, a la carte, and all-you-can-eat options are all available. Genji on the 3rd floor is a Japanese restaurant serving high grade kaiseki course meals, sushi, tempura, a teppanyaki hot plate cooking with Kobe beef. Wine and Japanese sake are both available to compliment your meal. Windows on the World on the 35th floor is the Hilton Osaka’s Sky Lounge with spectacular views over the city. A buffet is available at lunchtime and in the evening diners are entertained by live music. The dinner menu is Italian but creative with such delicacies as breaded cutlass fish stuffed with cheese, poached lobster in an orange and yogurt sauce, and roast quail with bacon and artichokes. The bar boasts a fine collection of brandies and malt whiskies. The hotel’s Fitness Center on the 7th floor has a fully equipped gym, sauna, and heated indoor swimming pool. Swimwear and training gear can be rented if required. In the Relaxation Salon on the 22nd floor you can enjoy a Swedish massage or a reflexology style treatment. The Connectivity Station on the 2nd floor has computers and printers which are freely available for hotel guests. The hotel also has a gift shop, beauty salon, barber shop, and florist. Multi-lingual staff at the reception desk can help you with enquiries and baggage storage is available both before you check in and after you check out. 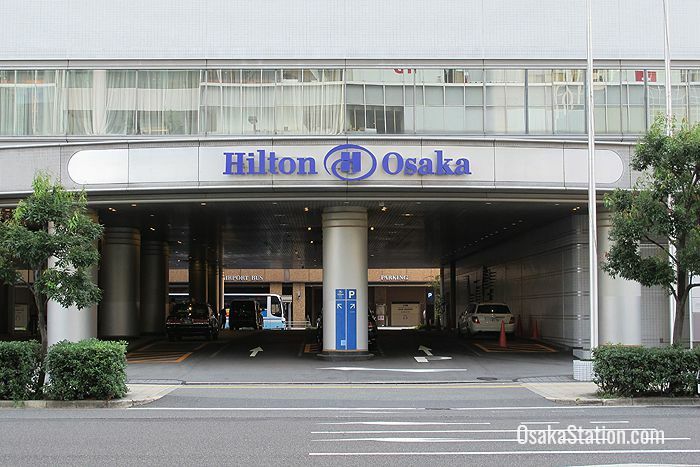 The Hilton Osaka is a five minute walk south of Osaka Station and best accessed via the station’s Sakurabashi Gate.